Categories: Jewelry, Men, Women, Bracelets, Everything Turquoise, Vintage. 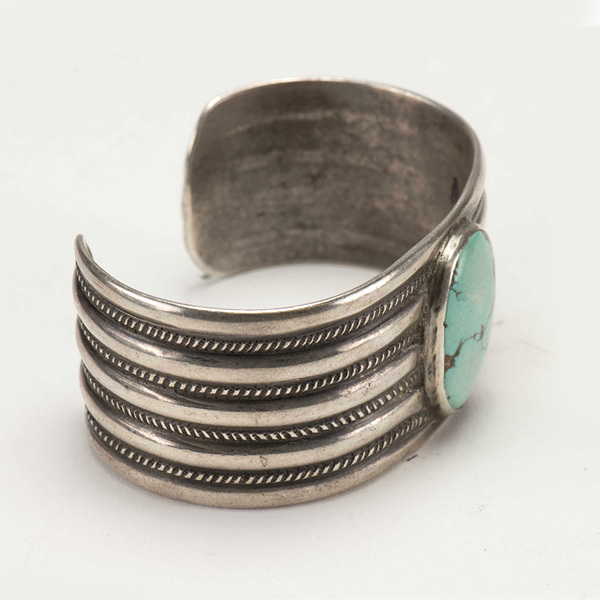 This exquisite vintage Navajo cuff is dated circa late 19th century to early 20th century. 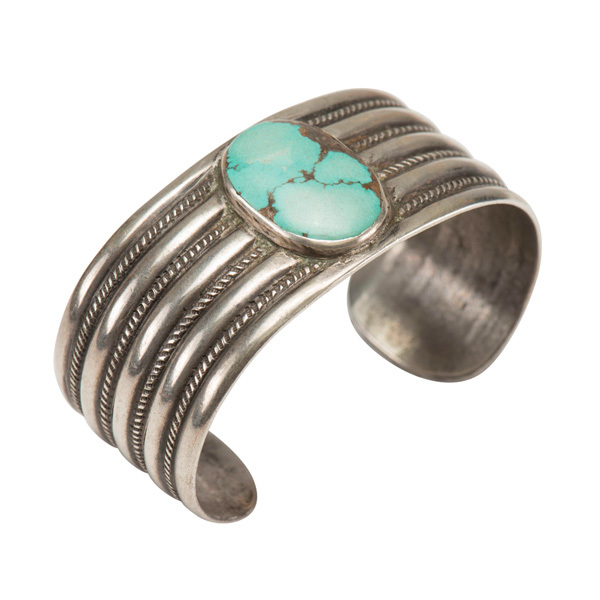 In excellent condition it boasts a traditional ribbed design with a perfectly preserved natural turquoise stone. Looking as though it sailed through the decades without any wear, this piece is a collector’s dream. 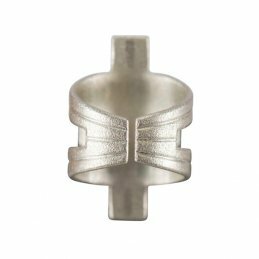 Coin silver, also know as ingot silver, is a term used to refer to the alloy that resulted when pre-1965 US silver coins were melted down to reuse in jewelry making. 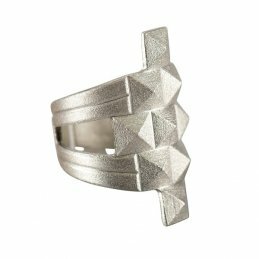 Early Native American craftsman made jewelry directly from the coins, heating the coins in a fire pit or forge and hammering them into shape.